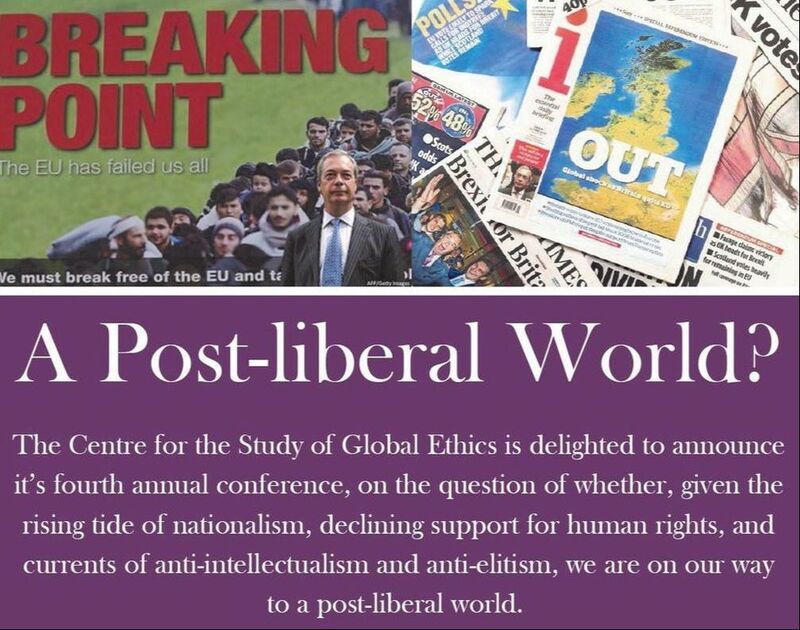 The Centre for the Study of Global Ethics at Birmingham is pleased to announce its 4th annual conference, on the theme of A Post-liberal World? 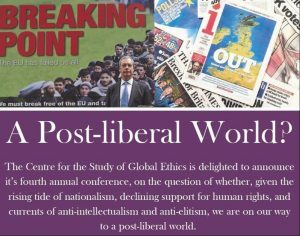 The conference will specifically focus on the question whether we are on our way to a post-liberal world. We welcome abstract submissions addressing this theme as well as abstract submissions on a wide range of topics within global ethics. Abstracts should be 500 words maximum and include three to five keywords. They should be send to globalethicsevents@contacts.bham.ac.uk. The deadline for submissions is 10 February 2018.